A pair of photographers from Germany are trying to bring the Emil Busch Glaukar 3.1 portrait lens from 1910 back to life. A portrait lens from 1910 might be coming back to life if two photographers from Germany succeed in a new Kickstarter project—the latest development in the craze to remake vintage optics. The Glaukar 3.1 was originally made in Rathenow, Germany by Emil Busch AG for plate camera users, and was considered in its day well corrected for astigmatism, as well as fast with its f/3.1 aperture. 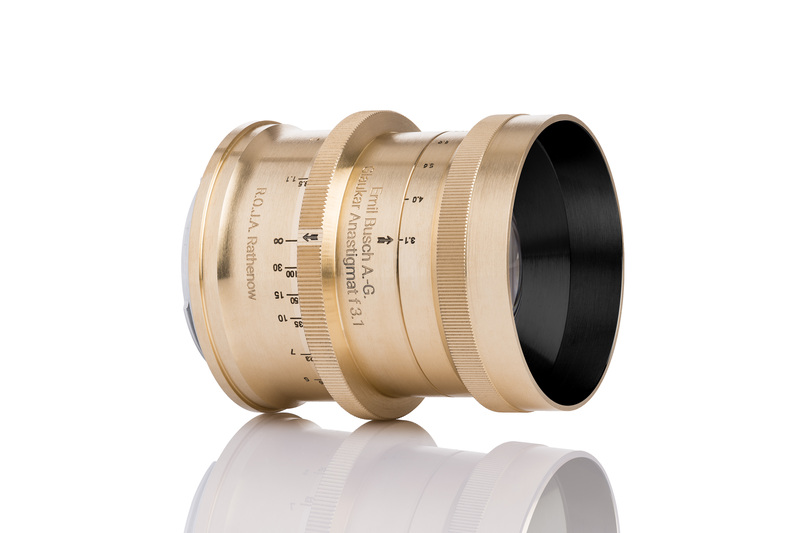 The reinvented lens will share the original’s maximum aperture and three-element symmetrical construction, but will use different glass and lens designs to bring it into line with modern technology, while attempting to retain the characteristics of its ancestor. Photographers Benedikt Ernst and Firat Bagdu say they have tried to maintain the same angle of view that the Glauker would have delivered on a 13x18cm plate camera so the new version—which is aimed at full frame, APS-C and MFTs users—will have a focal length of 97mm. It will feature a 12-bladed iris, will use glass from the Schott and O’Hara factories, and will be made mostly in Wetzlar, according to the pair. Photographer duo reinvents Emil Busch’s 1910 Glaukar portrait lens on Kickstarter posted on DP Review on July 19, 2017 3:48 pm .